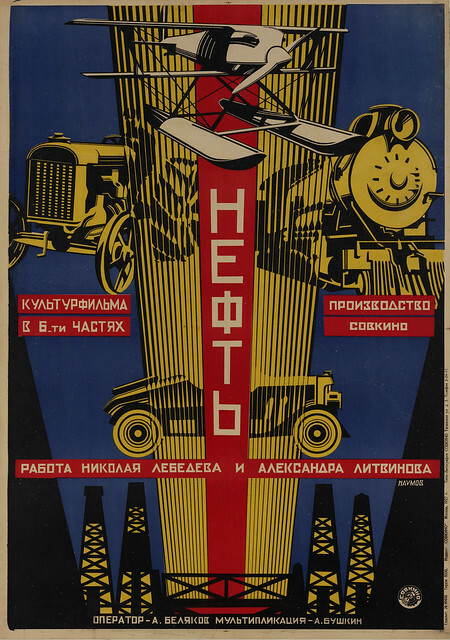 GRAD Gallery for Russian Arts and Design, in collaboration with online poster gallery AntikBar, is hosting a poster exhibition in London this month, and it is a ‘must see’ for anyone interested in the visual arts and communications, writes Alex Cameron. 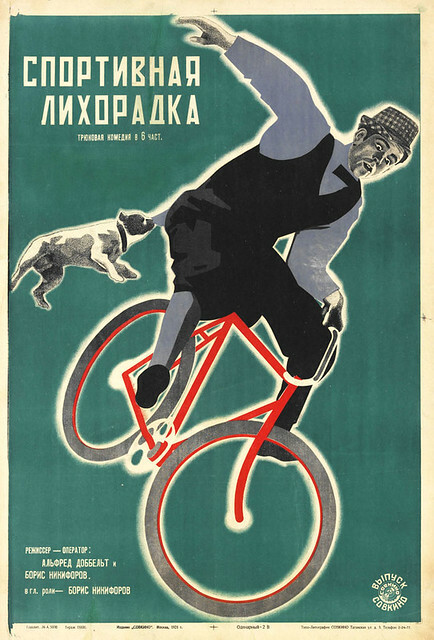 ‘Soviet Posters of the Silent Screen’ is on show in London’s Little Portland Street from mid-January through to the end of March 2014. It is co-curated by GRAD director Elena Sudakova and art historian, curator and film critic Lutz Becker (Becker was the curator of the successful 2004 touring exhibition ‘Avant-Garde Graphics’. See ‘Revolutionary material in the flesh’ in Eye 55). 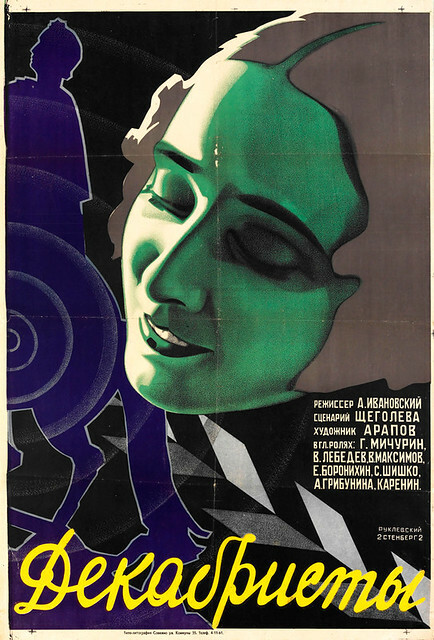 Although viewed through the narrow and relatively short-lived (1920-30) silent movie poster era in the Soviet Union, it nevertheless offers a broad look at an important moment in the development of the poster as a central mode of mass communication. Stenberg Brothers, poster for Death Loop, 1929. 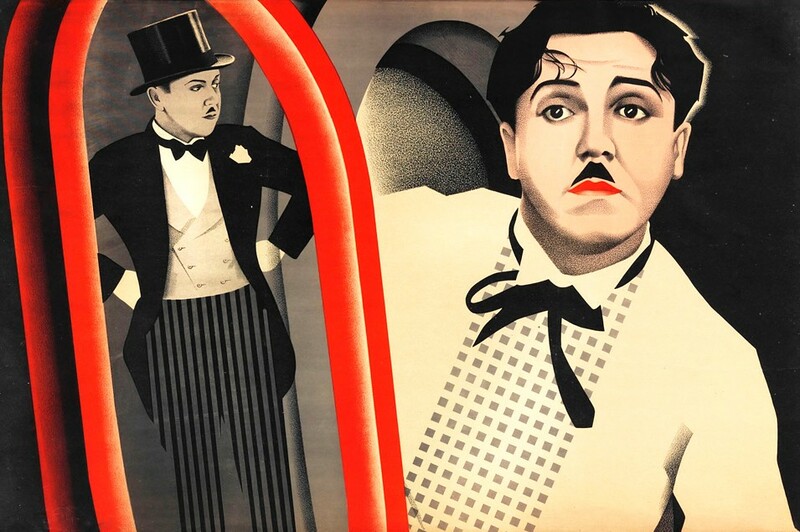 Top: detail of the Stenbergs’ poster for A Perfect Gentleman, 1928. Courtesy GRAD Gallery for Russian Arts and Design and AntikBar. The exhibits include original and previously unseen (in the UK) work of canonical masters of the poster such as the internationally celebrated Aleksandr Rodckenko (see Richard Hollis’ review of The Struggle for Utopia: Rodchenko, Lissitzky, Moholy-Nagy 1917-1946 in Eye 26) and the brothers Georgii and Vladimir Stenberg (see ‘Brothers in arts’ on the Eye blog). The work is revolutionary in both its form and content. Aleksandr Naumov, Oil, 1927, Courtesy GRAD Gallery for Russian Arts and Design and AntikBar. Stenberg Brothers & Yakov Ruklevsky, The Decembrists, 1927. Courtesy GRAD Gallery for Russian Arts and Design and AntikBar. 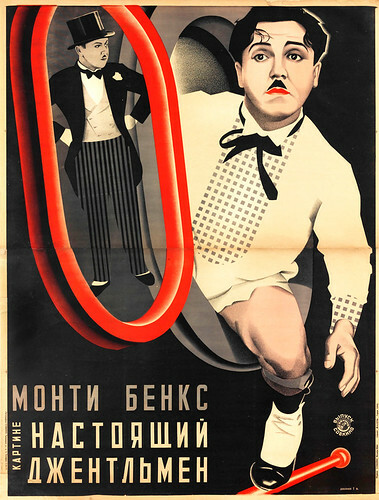 Stenberg Brothers, Sporting Fever, 1928. Courtesy GRAD Gallery for Russian Arts and Design and AntikBar. To the modern eye, the typography will be quite familiar (though still engaging), and perhaps to a lesser extent, so will the acute geometric forms used to construct the overall images. But what will impress and enchant the contemporary audience is the surprising colour palettes used by many Soviet poster designers. While black and red dominate, there are a variety of hues and shades that would not necessarily be associate with Soviet visual communication. Alongside the exhibition posters, there are edited extracts from some of the films they advertise that will provide creative insights and historical context. These include the Eisenstein epic Battleship Potemkin and Dziga Vertov’s celebrated documentary The Man with the Movie Camera. Stenberg Brothers, A Perfect Gentleman, 1928. Courtesy GRAD Gallery for Russian Arts and Design and AntikBar. 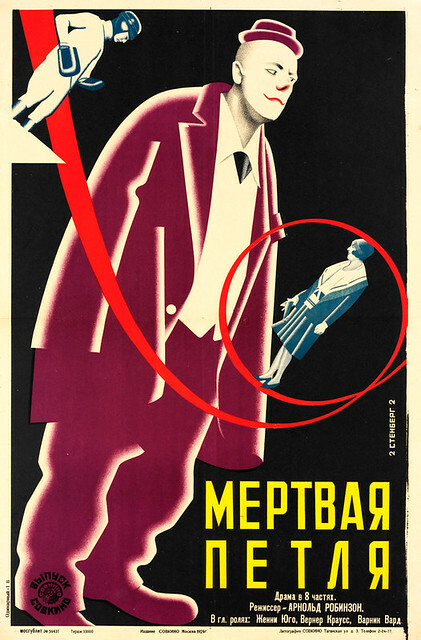 ‘Kino/Film: Soviet Posters of the Silent Screen’ looks set to challenge and delight in equal measure. All the 30 posters due to be exhibited are worthy of their inclusion in the UK / Russia year of Culture 2014, organised by the British Council and the Russian Ministry of Foreign Affairs. The exhibition runs from 17 January to 29 March 2014 at GRAD: Gallery for Russian Arts and Design in London and admission is free. Yakov Ruklevsky, October, 1927. Courtesy GRAD Gallery for Russian Arts and Design and AntikBar.